While sitting on the sand looking at the ocean my daughters sang with me and clapped, "The sea is His, for He made it and His hands formed the dry land." My 2 year old and a 1 year old were just starting to comprehend this new place of sand and waves. I was so thankful for a simple way to teach them a verse about God creating this beautiful place. 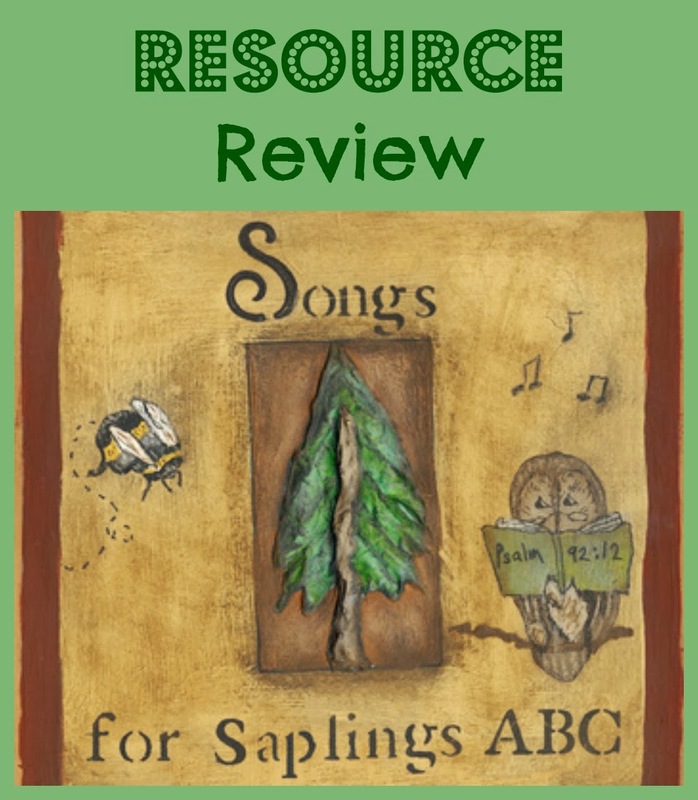 A few days earlier during the van ride on the way to Florida, my family listened to the track "The Beach, Psalm 95:5" from "Songs For Saplings ABC" . The song was simple enough that while on the beach I could sing along with my girls and talk about how God was big and strong to make the sea and the land. The words of the songs are my favorite part of this recording. All the song lyrics are verses from the Bible. The reference of the book, chapter, and verse are included in the song, so that you can know where to look it up. There is a link here to all the lyrics and the song chords. Some of my family's favorites have been "Apple Psalm 17:8", "Bread John 6:48", "Friend Proverbs 17:17", "Under Psalm 17:8", and "Christmas Luke 2:11". Sometimes we listen to the whole CD straight through. But I have found that we get more out of it when we pick one song to listen to and then sing throughout the day or week. There are only a few songs that I have found to be aware of and check with in your Bible. The words for "Obey Psalm 119:17" isn't directly from the verse. A few of the songs I don't use regularly because the context of the verse might not apply to everyday life. Such as "Zealous, Revelation 3:19". The music sound is minimal with an acoustic guitar, a female voice, and children singing. Many of the songs include clapping, this makes it lively and rejoicing. Most of these songs can be sung acapella, without the recording. This is one of my favorite parts about this music. I love having songs that I can sing with my girls during daily life in the moment of whatever we might be doing (getting dressed, taking a bath, playing outside). Children singing on some of the songs. 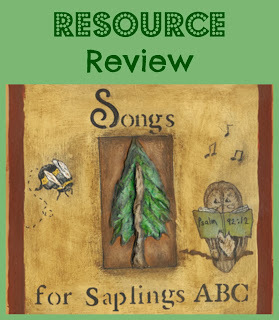 The best deal for the music is downloading from the Songs for Saplings website for $6. You can download the first 3 songs for free. Also you can purchase songs individually. Disclosure: I make recommendations on the basis of products that I personally use and that I think would be of value to the reader. I have no material connection to the brands, products, or links that I mention on this blog.